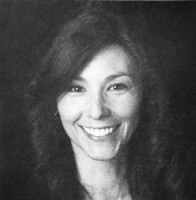 Third grade teacher Carla Fisher is the Columbus Charter School’s 2011-12 Teacher of the Year. “I was extremely surprised at first, then honored to be selected by my colleagues,” said Fisher, who just competed her third year at the school. “I felt surprised, especially because I feel that my career has only just begun. There are so many wonderful and accomplished teachers at my school. I feel very fortunate to have had this honor bestowed upon me. Fisher said the best part of teaching is the opportunity to celebrate the diversity of the classroom. “Viewing students as individuals, and learning what it takes for each to learn and respond to learning is one of the most rewarding experiences for me,” she said. “I believe the classroom community can be compared to our society today by saying that it is extremely diverse. These differences can range anywhere from cultural, religious, emotional and physical.